Port Willunga Blue is approximately 50 minutes from the centre of Adelaide, South Australia, on the beautiful Fleurieu Peninsula coastline. Situated on the cliff top esplanade, above the magnificent white sands of the Port Willunga beach, it offers stunning views of the coast and the surrounding hills and is only 500 metres from access to the beach and aquatic reserve and 600 metres from the pristine swimming beach of Port Willunga and the "Star of Greece" cafe. 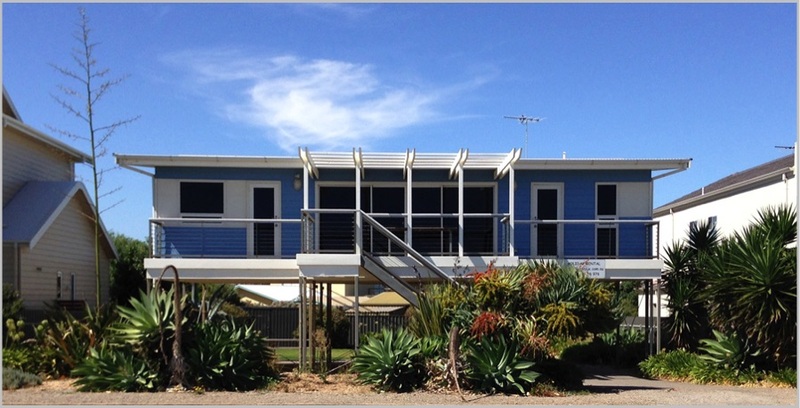 This well equipped beach house is decorated with quality modern furniture and appliances and features an excellent front decking area for alfresco dining and relaxing.